“At the Restart Project in London we hold repair events where members of the public are invited to bring in all manner of electrical and electronic items for repair, so as to save them from landfill. A few months ago (at an event I didn’t actually attend) someone brought in some faulty kitchen weighing scales which nobody could fix. Never having seen inside any digital weighing scales and not knowing how they work, I took it as a challenge to research them, in the process, building two versions of my own. 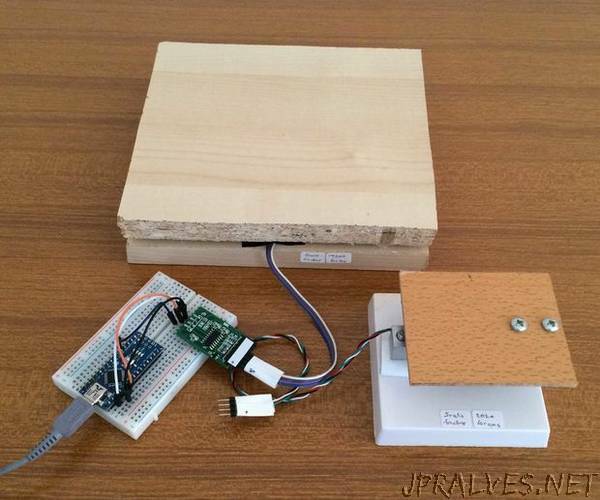 If you wish to build your own weighing scales or incorporate a weighing function in a wider project, you can use this Instructable as a basis, whatever your requirements, from weighing fractions of a gram up to many kilograms. Hence I will concentrate on the electronics, the software and the underlying principles. How you realise your own project is completely up to you. I will also show you how to calibrate them, even if you don’t have any standard weights.